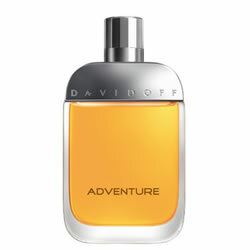 Davidoff Adventure aftershave opens with citrus notes such as mandarin, lemon, bergamot and aromatic notes of mate leaves and pepper that evoke the freshness of a rainforest. The heart blends South American pimiento and black sesame. The base mixes exotic Peruvian cedarwood, vetiver and musks for a sensual and lasting quality.